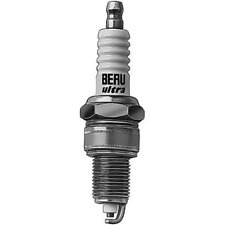 Rated at 9.5A at 12v and 4.5A at 24v. 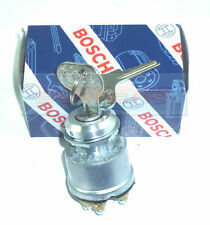 1x Genuine Bosch ignition switch. 4 Position: Accessory, Off, On, Start. (Start is push in and twist). 500 Abarth. This two piece cover simply fits in place of the vehicles original matt black key cover. 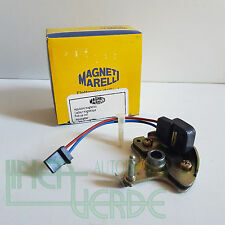 Magneti Marelli 71347401. originale FIAT 9941720. Impulsore magnetico. Fiat Palio - Panda - Panda 4x4 - Tipo - Uno. Esperienza e professionalità al vostro servizio da oltre 50 anni. Cavo comando aria al carburatore. Lunghezza guaina 1500 mm. Lunghezza totale cavo 1960 mm. Esperienza e professionalità al vostro servizio da oltre 50 anni. CERRADURA DIRECCION, ANTIRROBO VALEO FIAT. REFERENCIA 252272. CERRADURA DIRECCION, ANTIRROBO NUEVO VALEO PARA FIAT RITMO,I,II. REFERENCIA 252272. 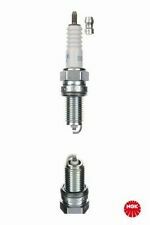 78442 CLAUSOR LLAVE ARRANQUE Fiat Linea (110)(2007->) 1.6 Dynamic [1,6 Ltr. ]. 500 Abarth. 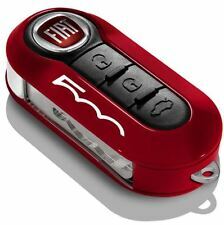 Genuine Fiat Key Cover. This two piece cover simply fits in place of the vehicles original matt black key cover. 12 Months warranty. HELLA 6PU 009 121-811. Einbautiefe [mm] 28,2. Anschlussanzahl 3. uns vor dem Verkauf geprüft. HELLA 009 168-081. Alle gebrauchte Ersatzteile werden von. 78442 Canhão de Ignição Fiat Linea (110)(2007->) 1.6 Dynamic [1,6 Ltr. - 77 kW JTDM 16V CAT] 198A3000 - CON LLAVE 51799409 As condições de envio são para Portugal continental. Muito obrigado pela sua confiança. 55193073 CAJA PRECALENTAMIENTO FIAT PANDA (2003 - 2012). VersiónFIAT PANDA (169) 1.3 16V JTD Dynamic | 09.03 - 12.12. ArtículoCAJA PRECALENTAMIENTO. Referencias188A9.000,188A9000,188A8000. CambioCaja de cambios 5 velocidades. VersiónFIAT MULTIPLA (186) JTD 105 ELX | 01.99 - 12.00. ArtículoCAJA PRECALENTAMIENTO. Referencias182B4.000,182B4000. CambioCaja de cambios 5 velocidades. MotorMotor 1,9 Ltr. - 77 kW JTD CAT. Potencia105 CV / 77 KW. Radnaben / Achszapfen. Lenkgestänge und Kugelgelenke. innerhalb von 48 Stunden! Klimaanlage und Heizung. Kompressor und Einzelteile. 85399 Hallbergmoos (D). Vorglühzeit [sec.]. innerhalb von 48 Stunden! Klimaanlage und Heizung. Kompressor und Einzelteile. Lenkgestänge und Kugelgelenke. HELLA 008 188-281. Glühkerzenausführung NG. PEUGEOT 96.252.036. 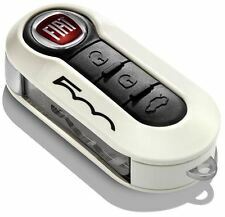 FIAT 3 button remote Case - with SIP22 Blade 500, Brava, Doblo. SIP22 Blade. To use this item you will need to simply separate old fob and remove circuit to new fob and also remove and replace the key blade. CLASSIC FIAT 500 IGNITION SERVICE KIT. Suitable for any Classic Fiat 500 (. 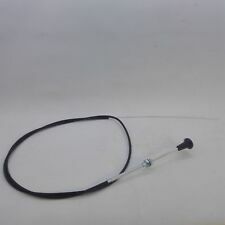 - 1x Condenser (Marelli). 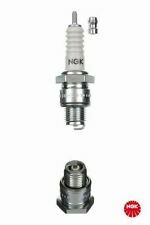 - 2x Spark plugs (NGK or Champion). Ignition service kit suitable for a minor and major service. - 1x Set of points. ). Werkzeug & Werkstattzubehör. innerhalb von 48 Stunden! Klimaanlage und Heizung. Kompressor und Einzelteile. Lenkgestänge und Kugelgelenke. CITROËN 5937 21. FIAT PUNTO 1.1 (176) 55 ED-6 Speed SPI 40 176. ´93-´99 Q20PRU. FIAT PUNTO 1.2 (176) 60 SPi / Cabrio S 43 176. FIAT PUNTO 1.2 (176) 75 MPi 54 176. FIAT PUNTO 1.2 (176) SPi Selecta. FIAT PANDA 0.8 (141) 750 Fire L / CL / CLX / S 25 156. 40118 Canhão de Ignição Fiat Marea Berlina (185)(1996->) 2.0 150 20V 182 A1.000 As condições de envio são para Portugal continental. Muito obrigado pela sua confiança. VersiónFIAT SCUDO FURGÃN (272) 10 Comfort L1H1 90 Multijet | 10.06 -. ArtículoCAJA PRECALENTAMIENTO. Referencias Cambio20DP35. CambioCaja de cambios 5-marcha. MotorMotor 1,6 Ltr. - 66 kW JTDM CAT.